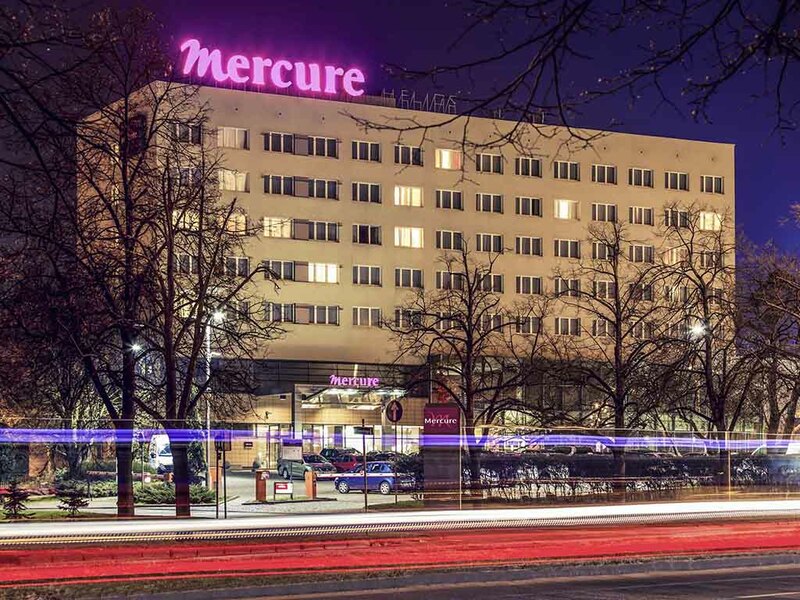 The Mercure Torun Centrum Hotel is situated in the city center, close to the old town and the birthplace of Nicolaus Copernicus. It has 5 apartments and 105 comfortable rooms for one or two people. The rooms are equipped with individually controlled air-conditioning, fast Internet connection, telephone, radio, minibar, satellite TV and coffee/tea making facilities. The hotel also has 6 fully-equipped modern conference rooms. WINESTONE restaurant is an ideal place for a business lunch, gala dinner or a meeting over a glass of fine wine. SUPERIOR SUITE Spacious suite with a bedroom, living room, large bathroom and separate toilet. Air conditioning, WIFI, tea and coffee making facilities, mineral water, TV, telephone, minibar, hairdryer, bathtub, bathrobe and slippers. Modern decor, comfortable chairs, all that makes a relaxed atmosphere. With its Copernican symbols, the WINESTONE Restaurant perfectly captures the exceptional character of the Mercure Torun Center.